The Aristocrats Will Tour SOUTH AMERICA In November! 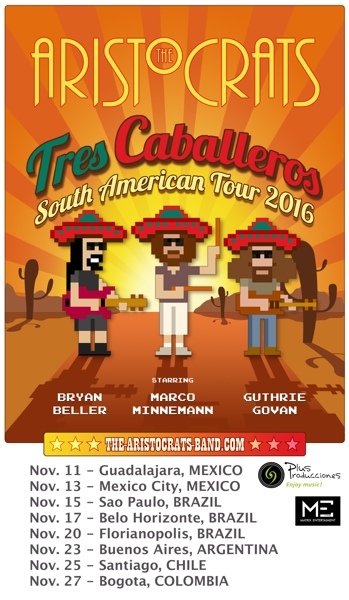 This took a while to make happen, but finally, it’s happening: The Aristocrats are going to tour SOUTH AMERICA in November! Not all shows have tickets available for sale yet. These links will go live over the coming weeks. I recommend watching The Aristocrats’ Facebook page, Twitter feed, and website for the latest info. For now, all available ticket links can be found here, at The Aristocrats website calendar page. To our fans in South America: Thank you for being so patient, and we are looking forward to finally playing for you!